Sorry, sorry, I couldn't resist throwing a dad joke in there, please forgive me! I seem to have spent all my time in my craft room making things for friends and fulfilling orders from my Etsy shop and so, actually thinking about gifts for people who aren't getting silver creations, well, that's passed me by a little bit. Don't get me started on what to get Jim...... 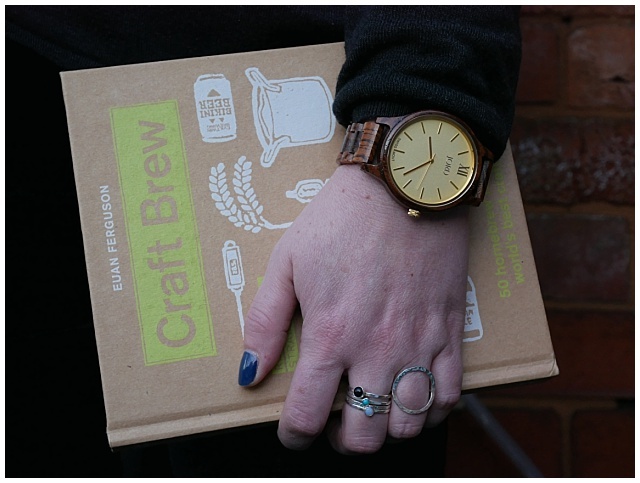 I thought I'd hit gold last year buying him a homebrew DIPA kit but as he;'s not used it yet, I've started reading the book he got with it to make it myself....... so this year he might just get coal and have to like it! I even forgot to send my mum my Christmas Pinterest board until last week. 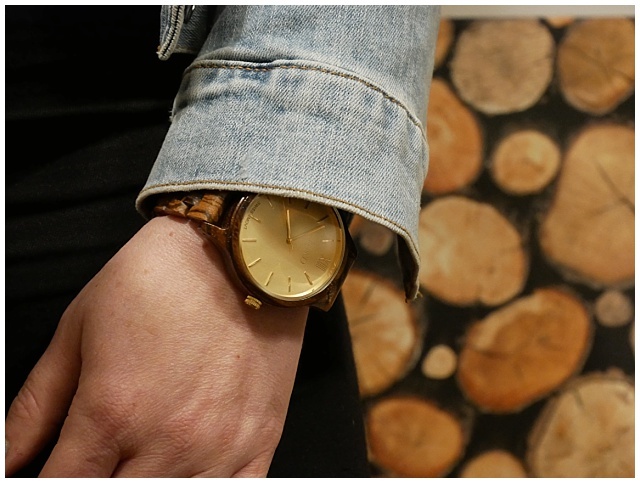 Luckily for her though, one of the items on it can be crossed off because this beautiful Frankie watch in Zebrawood and Champagne from JORD is already on my wrist. 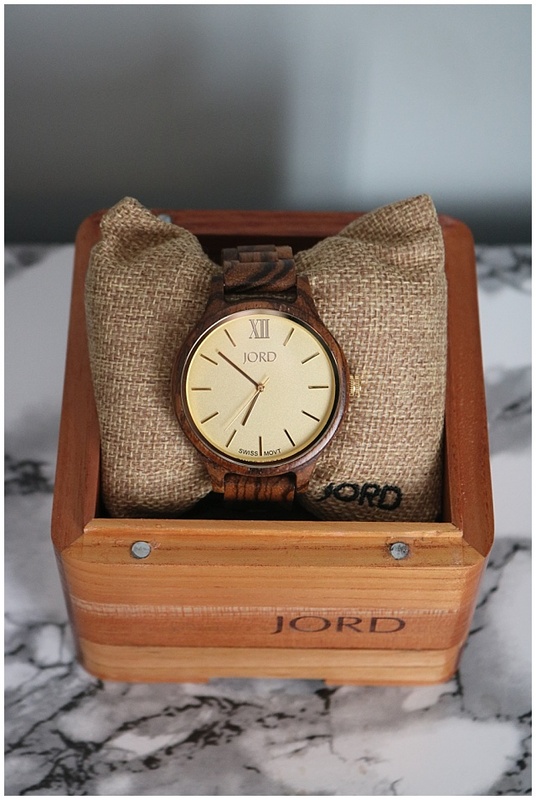 If you've not heard of JORD watches then let me introduce you to them - they make beautiful wooden watches, in a variety of styles, so there is something for everyone's style. I went for the Frankie because I'm a sucker for a big, simple, watch face - you're not going to find a delicate number on my wrist anytime soon - but they do do a smaller version of it. In fact, if Jim hadn't just bought himself a new watch (I know, who does that before both Christmas AND his birthday) then there were a couple of their watches, with the mechanics showing on the face, that I'd had my eye on for him! My favourite things about this watch are how pretty, and unusual for me the colours are, how crazily light is it (I had it in my head that a wood watch would be heavy) and how many compliments I get, every time I wear it! Honestly, every single outing it's had, it's turned heads! And can we take a minute to chat about how beautiful the presentation of the watch is? 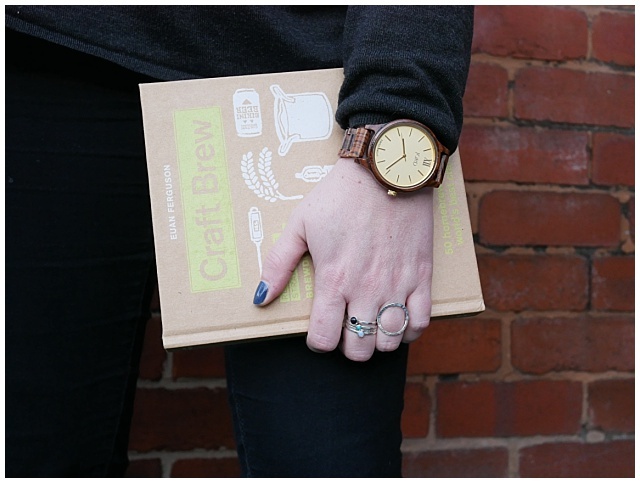 It comes in a stunning wooden box, that's filled with all the supplies and tools needed to keep your watch looking great. The watch itself comes wrapped around a cute little jute pillow too, to keep it safe, but it also makes the perfect place to store your watch when not in use too. It's going to look perfect on my dresser! The watches do ship from America, but I have to say mine arrived in a couple of days so you've definitely still got time to get one if you're looking for the perfect Christmas gift for that person, who like me, has been rubbish at sending you their Christmas list. Now, I best get back to the homebrew reading......Who knows, maybe next year I'll have spent November and December stressing about getting my homebrew gifts right?